Our systems engineering affiliations focus on enhancing sponsor and customer success. The MITRE Corporation is now offering a challenging, one-year systems engineering (SE) fellowship program that gives you valuable technical and hands-on experience while earning a master's degree from the University of Virginia. Learn more and apply—the deadline is April 1 for the next cohort, starting May 13, 2019. Our systems engineering affiliations focus on enhancing sponsor and customer success. In addition to our active participation, MITRE staff serves in leadership roles in a variety of systems engineering professional organizations. As a public interest company, MITRE uses these forums to share what we have learned with others. MITRE has formal, long-term collaboration arrangements with several academic institutions as well as ongoing interactions with others. Our current systems engineering research collaborators include academic institutions and professional organizations. Northwestern University. MITRE collaborates with Northwestern's metamodeling experts in agile quantitative systems engineering research. Rochester Institute of Technology (RIT). Our long-standing relationship with RIT has resulted in numerous collaborations with students and professors, as well as the creation of the MITRE/RIT Collaboration Lab. Santa Fe Institute (SFI). MITRE has been a member of the SFI Business Network since 1996. This membership enables us to consult with SFI faculty members and send MITRE staff to attend the Institute's educational programs, including the Complex Systems Summer School. MITRE engineers apply SFI state-of-the-art technologies and analysis methods to our internal research program and our customers' work. MIT Industrial Liaison Program (ILP). The ILP fosters educational and research relationships between corporations and the MIT community. Through this program, MITRE has the ability to conduct technical and research exchanges with MIT faculty. We also attend and access material from MIT ILP Conferences, which take place several times a year and cover a broad range of topics. MITRE has collaborated on research with the MIT Engineering Systems Division. MITRE has also sponsored the MIT Systems Design and Management Program's annual "Systems Thinking Conference." Systems Engineering Research Center (SERC). MITRE has established a Memorandum of Understanding with the SERC (a University-Affiliated Research Center of the Department of Defense) for the purposes of research collaboration and participation in SERC's doctoral fellowship program. The SERC consists of 20 collaborator universities. Defense Acquisition University (DAU). MITRE has established a Memorandum of Agreement with the DAU, which is part of the Undersecretary of Defense for Acquisition, Technology, and Leadership. The agreement supports mutual collaboration on acquisition in the areas of research, knowledge management, curriculum development, and education. INCOSE. MITRE has been a member of the International Council on Systems Engineering (INCOSE) Corporate Advisory Board for many years. Our staff members serve in various working groups and committees, present papers at the annual INCOSE international symposium, and publish articles in INCOSE's journal of Systems Engineering and Insight magazine. A collaborative agreement between MITRE and INCOSE grants INCOSE Certified Systems Engineering Professional credentials to qualified MITRE systems engineers. IEEE. MITRE participates in the IEEE through its IEEE Systems Council and annual international conference. Since its inception in 2007, MITRE staff have served on the conference technical program committee, chaired sessions, participated in the conference plenary session executive panels, and presented a number of papers. NDIA. MITRE participates in the National Defense Industrial Association through its Systems Engineering Division. Our staff serve on several of the division's committees, which focus on improving the performance of government defense acquisition programs through an improved application of systems engineering. 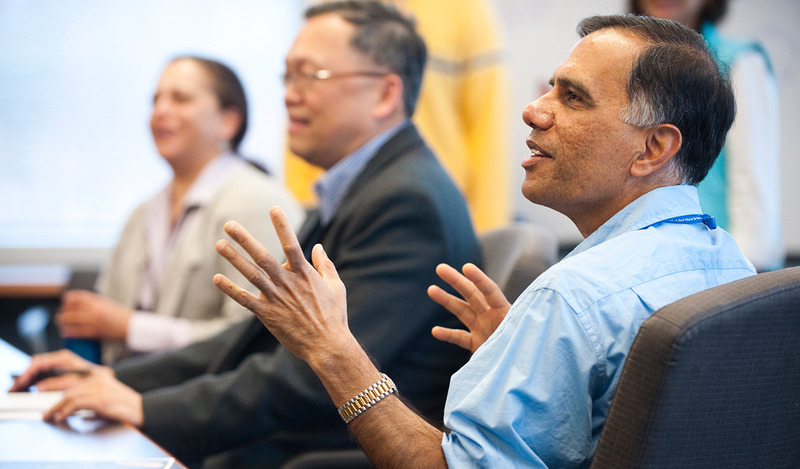 MITRE's Federal Employee Fellowships provide federal employees with leadership experience in systems engineering. Established in 2009, the program facilitates long-term partnership agreements with selected government organizations to assign their employees to MITRE. Government organizations must first make a recommendation before an employee becomes eligible to become an intern. Fellowships for federal employees, both military and civilian, are available through their appropriate government organizations. Employees in the Air Force, Army, Navy/Marines, and others in the Department of Defense, such as healthcare professionals, are currently eligible. By participating in MITRE's multi-agency work program, fellows learn systems engineering leadership skills in a variety of domains. For example, fellows may focus on national security topics such as cybersecurity, command and control, ISR (intelligence, surveillance, and reconnaissance), or net-centric operations. Alternatively, other fellows may concentrate on applying enterprise systems engineering techniques to complex healthcare problems. Interested in being an SE Fellow? For more information and to receive program updates, please contact us.